In August of 2012, Tyler Frank was living in a 2nd story apartment in the East End of Portland, ME and like most urban dwellers didn't have space available for a compost pile. Frank and his roommates pondered why they couldn't just put compost out on the curb like trash and recycling, and in the moment between wondering and wishing, Garbage to Garden took root. Days later, Frank set up a table on Congress Street in Portland during a First Friday Artwalk and by the end of the evening, 17 Portland residents subscribed to Portland's first grassroots curbside composting service. During these early days, Frank developed a relationship with Eddie & Becki at Benson Farm. Their shared commitment to sustainability, vision for closing the food recycling loop, and belief in the mission of Garbage to Garden led to a partnership that helped Garbage to Garden become what it is today. Today, 1 in 7 households in Portland choose to participate with Garbage to Garden.  Garbage to Garden also services South Portland, Falmouth, Cumberland, Yarmouth, Westbrook, Cape Elizabeth, Brunswick and Bath. 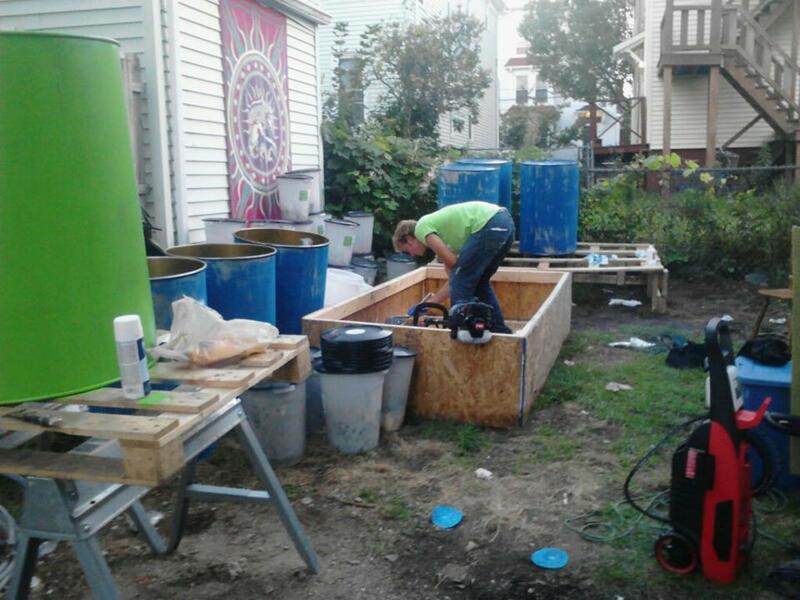 In 2017 Garbage to Garden opened a satellite operation in Massachusetts and currently provides curbside composting for residents Arlington, Belmont, & Somerville, MA! 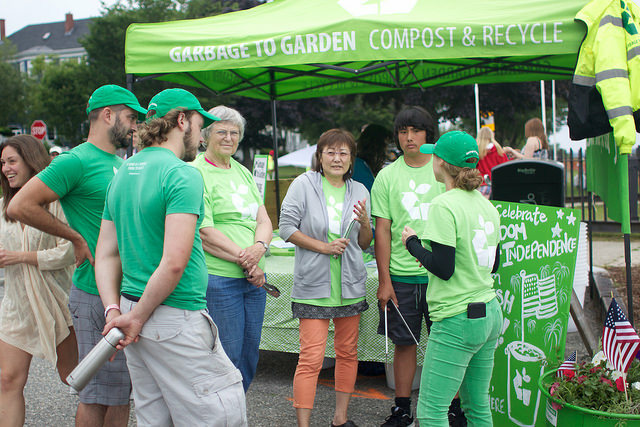 Garbage to Garden is the most successful market-based curbside composting company in the Northeast, servicing over 8,000 households, schools, restaurants, businesses and events throughout Maine and Massachusetts.  The ethos of Garbage to Garden is rooted in the spirit of sustainability and supporting the local economy while making composting for the masses as approachable as possible. Benson Farm is our flagship partner in Maine, a MOFGA-certified composting facility.  Rocky Hill Farm is our local composting partner in Massachusetts. We'll also collect your used cooking oil. Maine Standard Biofuels turns it into biofuel and soap - the same soap we use to wash the buckets! Benson Farm Surf N Turf compost is a blend of seafood waste, used animal bedding, and food scraps – meaning every time you use compost, you’re returning to the soil what you took from it. We accept all food waste - even meat, bones and weeds! But how? The composting experts at Benson Farm in ME or Rocky Hill Farm in MA incorporate your food waste into massive piles called "windrows." These piles reach temperatures of over 130° because of the energy produced by heat-loving bacteria called "thermophiles," so nature does the cooking herself. 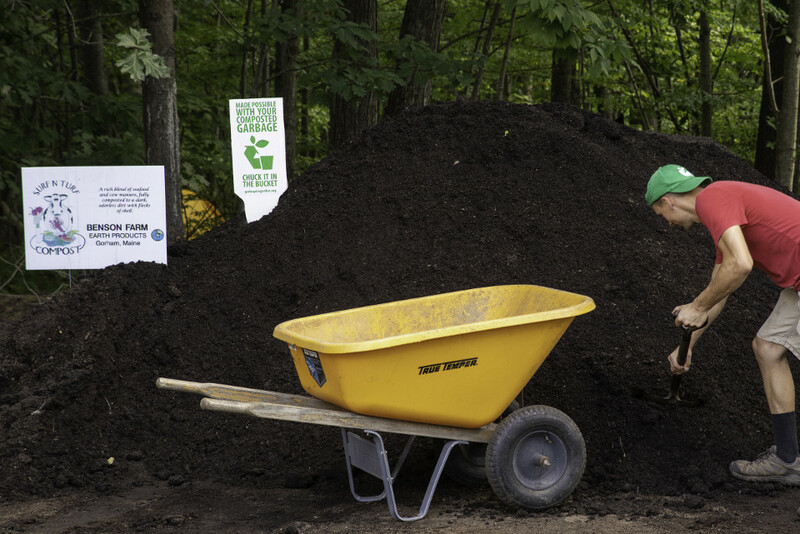 Compost microorganisms are powerful enough to break down bones, weed seeds, pathogens, and even toxic chemicals. 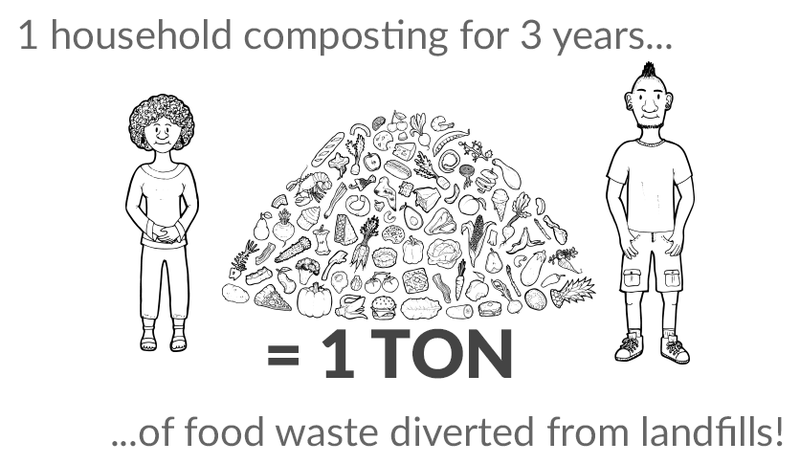 Composting has numerous benefits for air quality, clean water, and soil. 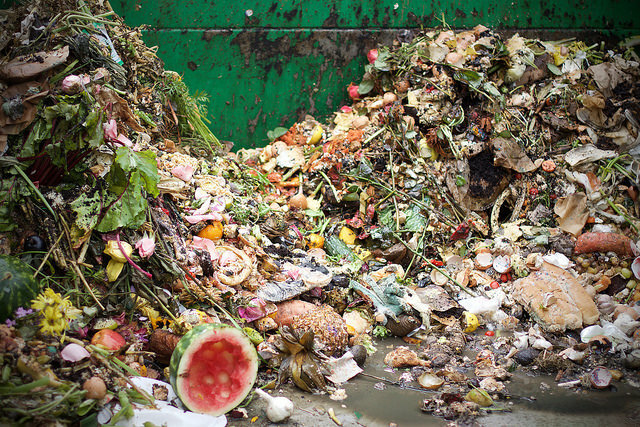 Food scraps have the correct ratio of nutrients that plants need to grow. 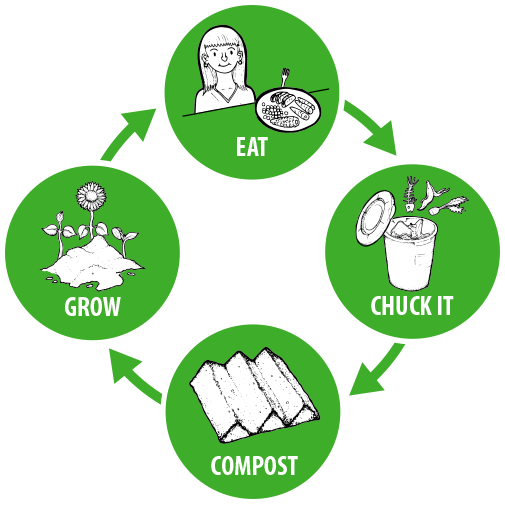 By composting your food scraps, you’re putting nutrients back into the soil instead of wasting them! So, what can you compost with Garbage to Garden?